One trick you may or may not have picked up about Gmail is that you can add in periods anywhere in the front part of your address and it makes no difference whatsoever: john.smith@gmail.com works just the same as johnsmith@gmail.com. What's more, you can add a plus sign and any word before the @ sign (e.g. johnsmith+hello@gmail.com) and messages will still reach you. If these tweaks make no difference, then why use them? One major reason: filters. Here are a few ways you can make use of the feature to bring order to the chaos of your inbox. The next time you sign up for a newsletter, app or website, use an address like johnsmith+news@gmail.com. That way, you can filter out everything sent to this address to a low-priority label or folder. A couple of options available to you are to have Gmail mark all these messages as unimportant, or categorize them all as Updates. If you want to get really involved with your email management then you could even add a specific word for everything you sign up for: johnsmith+evernote@gmail.com for example. This might eventually become more trouble than it's worth, but it does give you the power to instantly send emails from a certain source to the spam folder, or to trash them immediately. As well as marking some messages as unimportant, you can of course do the opposite. 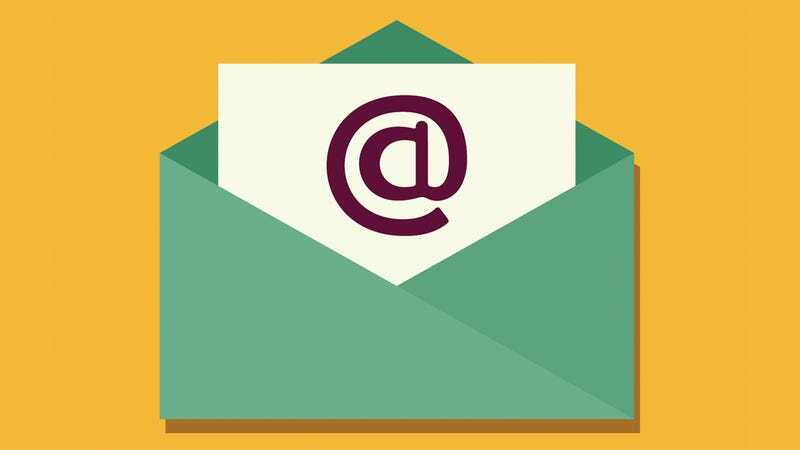 Try handing out an alternative email address—such as john.smith@gmail.com—to your nearest and dearest to help them stand out from the dross that usually fills up your inbox. Then set up a filter to mark these messages as important and top priority. There's the mobile aspect to consider too. Through the settings in the Gmail app for Android it's possible to set notifications on a label-by-label basis, so if you set up a new label for your VIP contacts then you can make sure only these specific messages trigger an alert on your phone. You may already have a separate Google account for your job, but if you're someone who combines work and pleasure into one central inbox then use the address tricks to distinguish between the two. It could be as simple as adding "+w" to your Gmail address for any work-related emails. That then gives you the ability to mark every incoming work email with an appropriate label, with no manual effort required—not only will your inbox look tidier, but it will make searches much more efficient. You can restrict queries to one particular label and leave yourself with fewer results to sift through. We don't like to go more than a few days on Field Guide without mentioning something you can do with IFTTT, so here you go. Set up a johnsmith+lights@gmail.com address as a "Send mail as" alias in the Gmail settings and you can set up an IFTTT trigger that activates whenever an email appears from this address. Select this alias when composing a message from the office or your mobile phone and you utilize any of IFTTT's features. You'll essentially be sending emails to yourself, but you could switch Hue lights on or off, turn up your Nest thermostat, and so on. You could also use the trick to send photos to Flickr, update Twitter, send a text from your Android phone, and so on and so on. If you set up a filter that labels every email coming in to johnsmith+todo@gmail.com then you can pull up this label as a makeshift to do list. As well as emailing tasks when you're sat in the office or on your phone, you can forward emails from other accounts or even send photos to the list from wherever you happen to be. Anything that can be emailed can be added to your to do list, and as usual there's the option within the filter to automatically archive these messages and mark them as read so they don't clutter up your inbox. Those are our ideas for using your Gmail aliases, but if you have some tricks and tips of your own we'd love to hear about them.